What inspired this dish? Was it from memories of eating flavorful steamed fish on the exotic beaches of Thailand? Nope! It was inspired by an airplane meal we had on Singapore Airlines on our flight back from our recent trip to Germany! Usually I only nibble a few bites of airplane food, and eat an energy bar instead since airplane food often just brings back memories of ewww high school cafeteria food and freaks me out a bit, and the smells make me feel even more airsick than I might already be. But on our way back from Germany to NYC I knew I would need lots of stamina to care for my three kiddos during our 7 hour flight, and had no energy bars or back up food, and didn’t want to be hangry with three kiddos! So I had no choice but to eat it. And I’m so glad I did! Of course Singapore Airlines rocked it in having an Asian entree option at each meal, and wow, their steamed fish with a curry sauce over noodles, my one-year-old and I fought over those last bites. 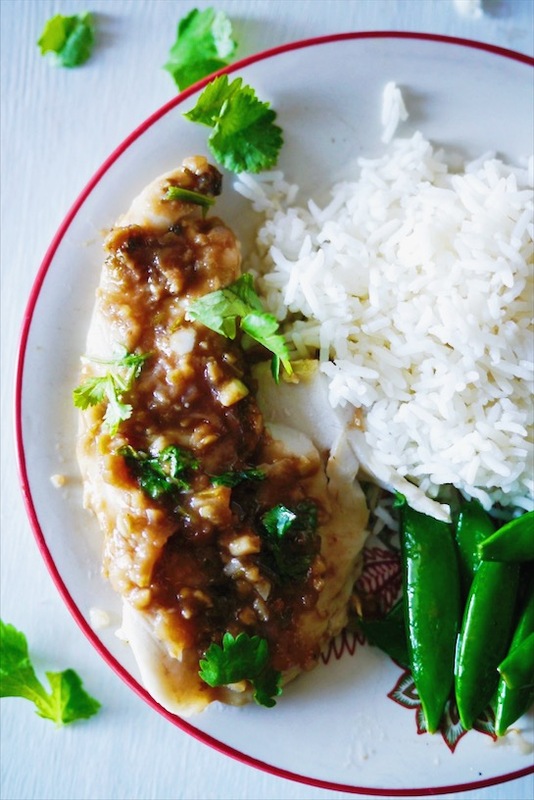 It of course did remind me of all the many steamed Thai fish dishes I loved eating at the beach in Thailand or at awesome Bangkok restaurants, and I couldn’t believe I hadn’t tried making it yet for you all! The next week back I hit the kitchen. But sadly, I remembered I had no steamer to steam the fish in! But my Thai Hubby reminded me that I already have an improvised method of steaming the rice for Thai Mango Sticky Rice by using a splatter guard, so why not do the same thing for steaming fish? One of the many reasons I married him is because of his awesome problem-solving skills. So I tried it out and it worked perfectly, cooked quickly, and was so easy. If you are like me and don’t have a steamer to make fish, I also thought this way of steaming fish without a steamer looked legit, but I didn’t have a plate that fit inside a pan, so that’s why I stuck to my splatter guard steamer method. We used tilapia because we saw it at Costco this week and hadn’t had it in awhile, but of course you can use any other fish you prefer, just adjust the cooking time. Tilapia is thin, and cooks quickly, so you would need to cook it longer if it’s a thicker type of fish. Try it out today, and show me your creation on Instagram! 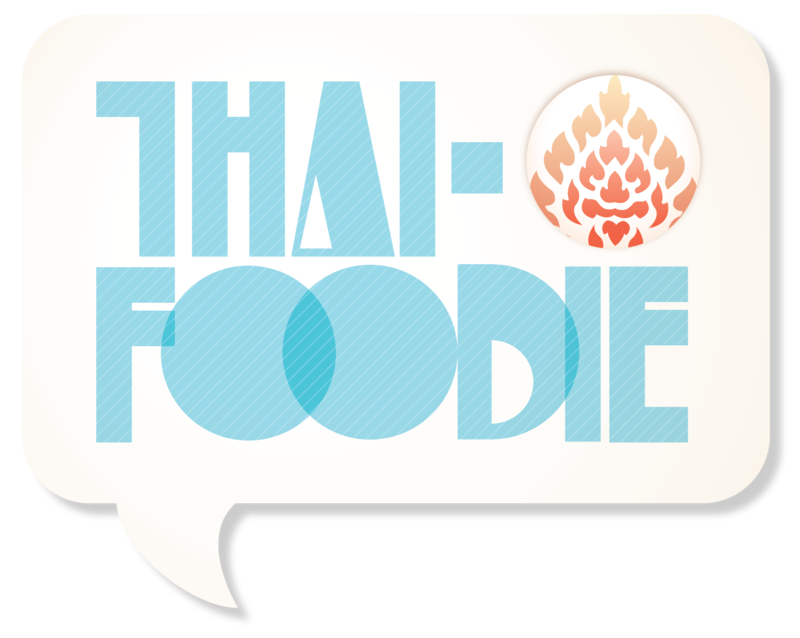 Tag me @thaifoodie! I wanna see! 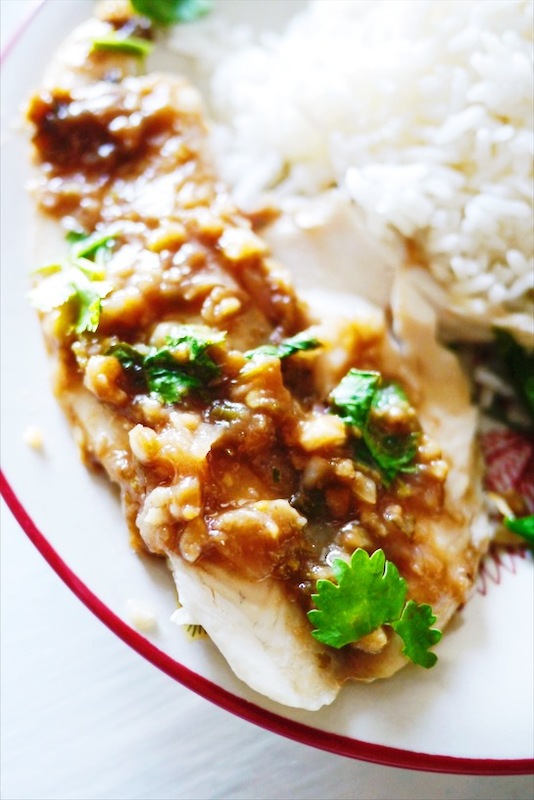 Super quick week night meal that tastes like it's from a nice Thai restaurant, full of flavors like tangy tamarind, spicy Thai chili pepper and melt in your mouth fish? Yes please! Steam the fish in a steamer, or if you don't have one you can use my splatter guard steamer method. If using that method, fill a saute pan with about three inches of water. Bring it to a boil. Place the splatter guard on top of the pot and spread out the fish filets. Make sure they aren't overlapping. I can fit about three tilapia filets at a time, so I steam it in two batches. Place another pot or bowl on top of the splatter guard, so it covers the fish, but doesn't touch it. Steam the fish for about 7-10 minutes, depending on the size of the fish, until it's opaque, and flaky at its thickest part when poked with a fork. While the fish is steaming, make the Spicy Tamarind sauce. Add the cooking oil to a small saucepan over high heat until it's warm. Add the shallot, garlic, chilies and cilantro stems, and cook until it starts to smell amazing, and the shallots are translucent, about 2 minutes. Add the rest of the ingredients, and bring the sauce to a boil. Once its boiling, decrease the heat, and let it simmer until it's thickened to your desired consistency, for me it takes around 2 minutes. Taste it, and add more tamarind if you want it more sour, more sugar if you want it sweeter, or more fish sauce if you want it more savory. 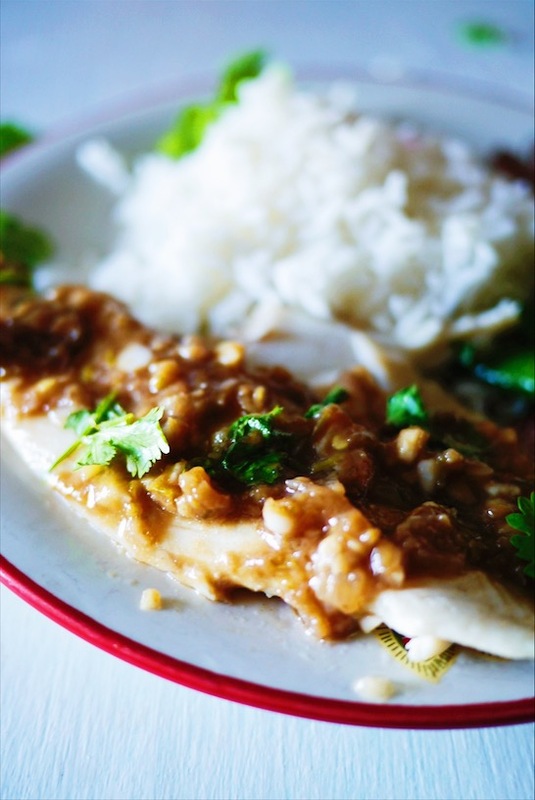 Ladle the sauce over the fish, sprinkle cilantro on top, and serve with jasmine rice and a Thai veggie side dish! Warning, it will taste very spicy on its own if you put in the three Thai chili peppers, but once you put it on the fish, and eat it with rice, it wont taste as spicy. So give the sauce a taste with some rice and fish before adjusting the spice level. If you want it less spicy, add a tablespoon or so of more water, or a little more of the tamarind, fish sauce and sugar in equal parts to help tone it down. Another cooking option instead of steaming the fish is to bake it in the oven at 350 degrees on a baking dish covered with aluminum foil for about 15-20 minutes, depending on the fish, until it's opaque and flakes easily at its thickest part. Although I don’t like Thai cuisine, I really love the images in your post. I like tamarind and this dish looks like very yummy and attractive. I will try it when coming back Thailand for sure. Aww, thanks for your kind words about my photos! 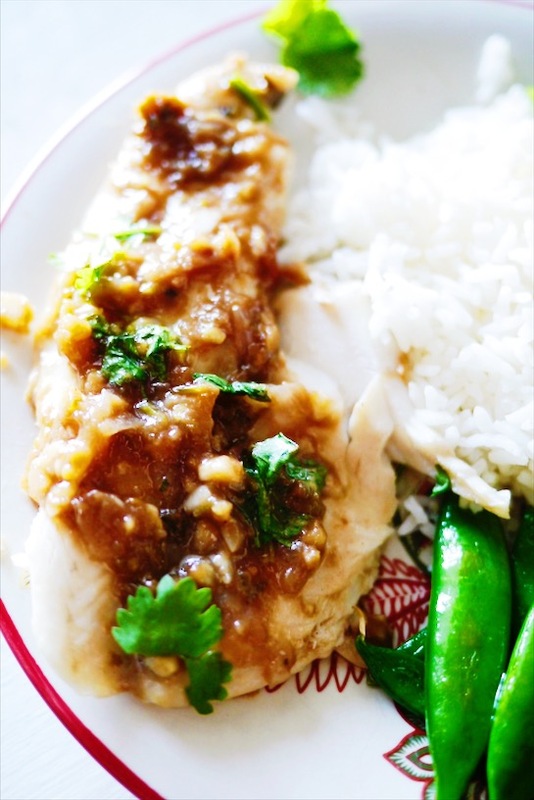 Yes, the tamarind goes so well with the fish, you should definitely try it! That’s my personal favorite. Tamarind with fish is super tasty. Just love it and loved your post. Thanks so much! Yes! Tamarind goes so well with fish, so glad you agree!